Will FIFA 17 have FIFA Street mode? 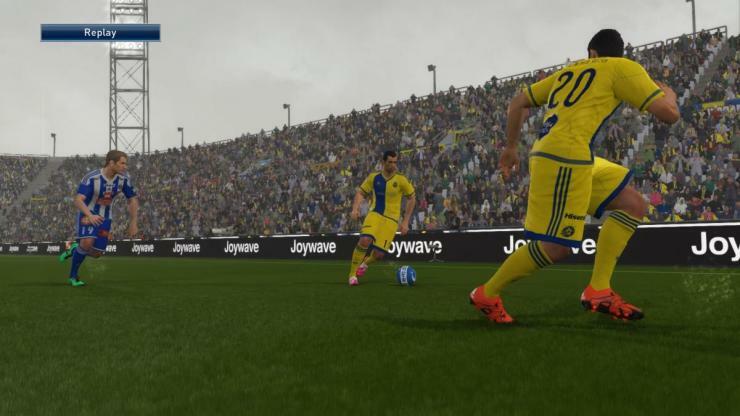 Ea had announced the FIFA 17 Release date and chenged the engine. Earlier this month, EA promised that they are planning a major leap forward for FIFA 17 and this has spur many ideas and features that might be included in the EA’s next big seller. There is a huge FIFA community that consists of YouTubers, Pro Players and not to mention the normal fans. There was a huge response towards what might be EA’s next big plan to make the game more exciting. A fan on Twitter suggested that FIFA Street should be added to in FIFA’s next edition. There were many retweets to the post as well as tons of comments both supporting and against the idea. Today, we will discuss about the possibility of FIFA Street in FIFA 17. We know that EA Sports always strives to improve their games. They have always given thought to new ideas and wishes but not all of them have been fulfilled. 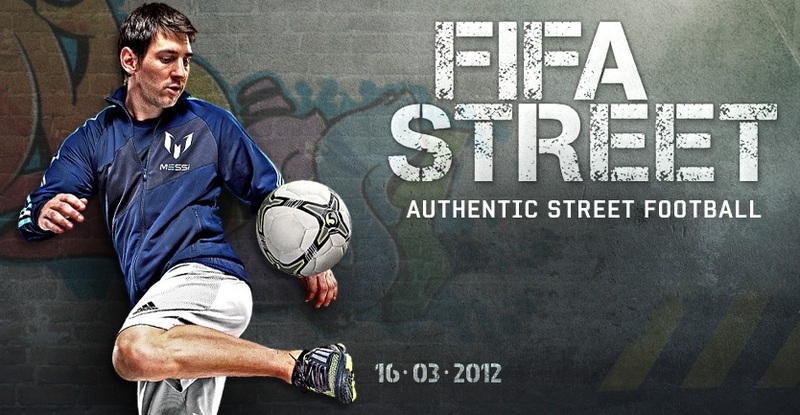 The last FIFA Street game was released back in 2012 but EA Canada as FIFA Street 4 but the gaming masterclass decided to discontinue the game series. It is hard to believe that EA will be bringing back FIFA Street anytime soon. 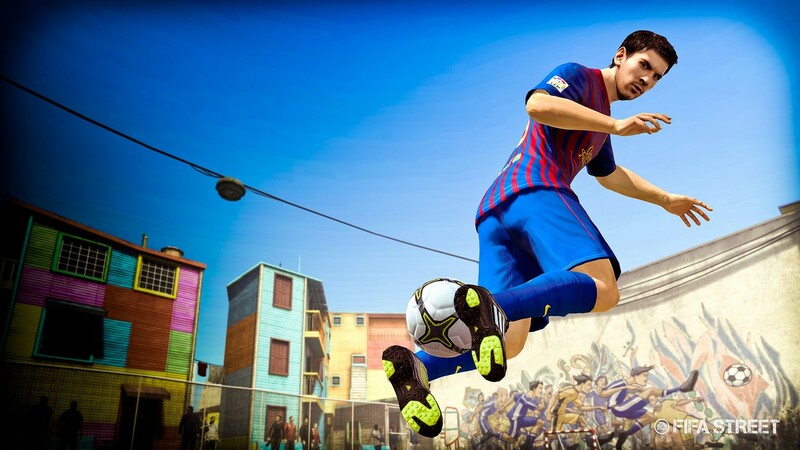 The developer are always looking for ways to make the game more realistic and adding a FIFA Street mode would completely go against that. Also, the cost of adding a new mode with new FIFA Street players/ 5 a side football players would create a big risk for EA Sports. But EA has promised that there weill be a big new feature in FIFA 17. EA Sports are currently finalizing all the minor details about the game as it is soon to be released. 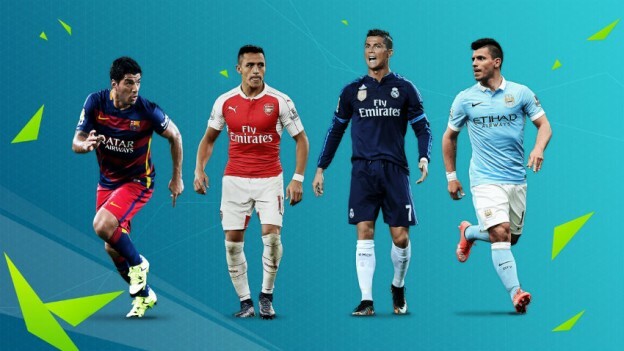 There are more than six hundred teams in FIFA 16 and we predict that at least 20 more will be added in this year’s version. We have talked about new Leagues, new Legends and even new stadiums. Now it’s time to discuss new clubs that we can see in FIFA 17 game. FIFA 17 coins on sale on u4fifa.com. The Glasgow Rangers were dropped out of FIFA 16 due to problems with licensing. They are set to make a return to the Scottish League in FIFA 17 after the fresh promotion to the Championship. Ex-Chelsea star Ramiers and Alex Tixeira joined this Chinese League club with huge money on their back. They were left out of the Ultimate Team which was criticized by a lot of FUT players thus it is very likely that Jiangsu will be in FIFA 17. It will also mean that other superstars playing in China including Gervinho and Demba Ba will be in the game. We have already covered this before but here we go again. The San Marino fans created an online campaign to force EA to add them into the game. More than 20 thousands participated in this movement. We believe that EA are aware of this which makes us think that there is a possibility that they are going to add San Marino in the game. 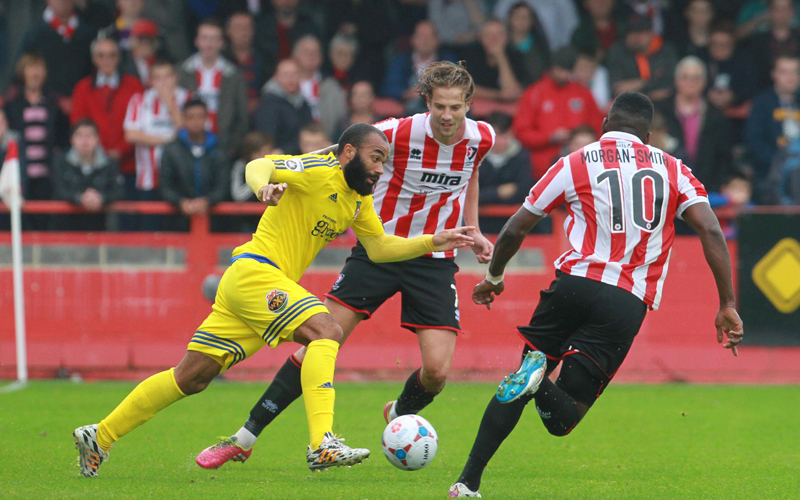 Cheltenham were relegated beyond the English League Two which means that they were left out of FIFA 16. They are set to make a return to the game, after a stunning return to the League. No such luck for relegated Tranmere Rovers. The Israeli Champions could make it into FIFA 17 having already been placed in the Pro Evolution Soccer. As Israeli League is one of the most wanted league in FIFA 17 Polls, the whole league and of course the 21 times champions might get a place. We are to believe that EA wants to add more female teams in FIFA 17 as we already know that the Norwegian team is going to be in the list of teams. We expect EA to add a few female clubs and what better way to start with the all famous Chelsea Ladies or Manchester City Ladies side. A club’s visual identity during the season is made of three elements: name, badge and kit. The last element is always the one in the dispute among football fans. For a long time the main clubs of the world have used only their first and second kits, although now third/alternative kits came to stay. 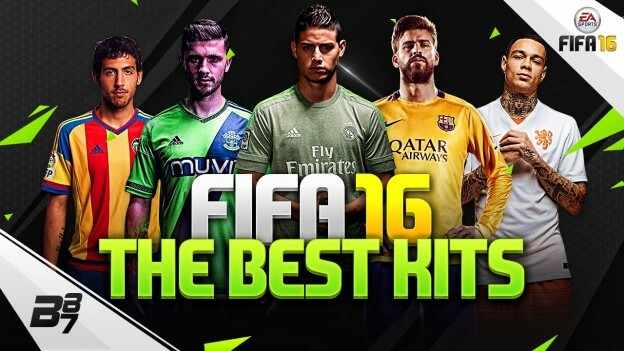 Whichever your appearance preference is, today we looked into all the kits of all the clubs in FUT to select the top 10 most different kits in FIFA 16. And you can share your opinion on your expecting kits in FIFA 17. By changing badge and sponsors we’d get a nice Brazilian kit, what about that? Nice little copy and paste the badge but on different proportions. Its colour reminds me of street football, simple and beautiful. Basic colours and no sponsor highlighted. The Russian club’s kit is pretty nice due to its simplicity. Are they a reference to the Brazilian fauna or what? If the main idea was it to be something like a camouflage, someone knew what they were doing with the final art, it’s something completely out of the FIFA pattern. Three images are worth more than a paragraph or words. These are genuine Arabic works of art. If you have any suggestions, don’t hesitate to leave a comment and remain your concern in our blog. We will bring you the lastest news about FIFA 17. 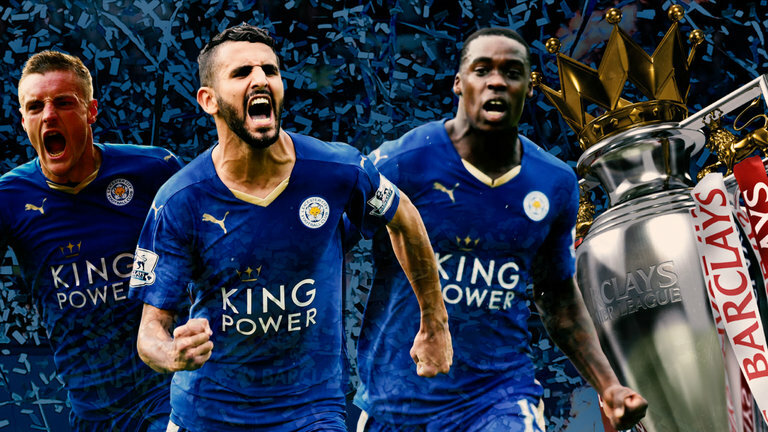 Will the Champions Leicester City Boosts in FIFA 17? 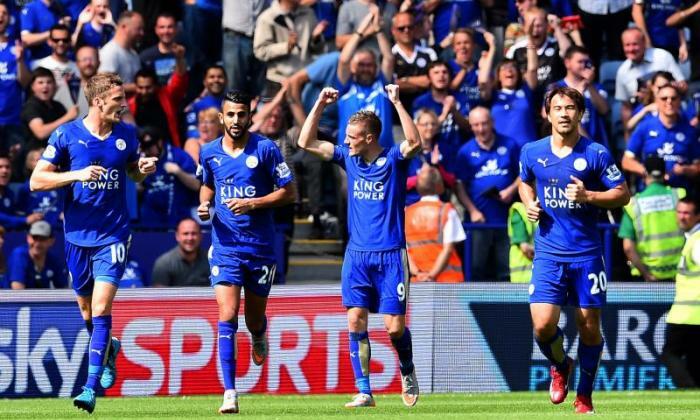 Leicester City lifted their first Premier League Trophy on Saturday, a minor trend started on Twitter questioning Leicester City’s place in FIFA 17 game. This has raised some serious questions over EA Sports who previously had the 2015-16 Champions rated only 3.5 stars. Before the season began, the betting odds that Leicester to win the title was around 5000/1, but the impossible happened. The fairy tale for the underdogs came true. The team has shown real talent this season, which cannot and should not go unappreciated. 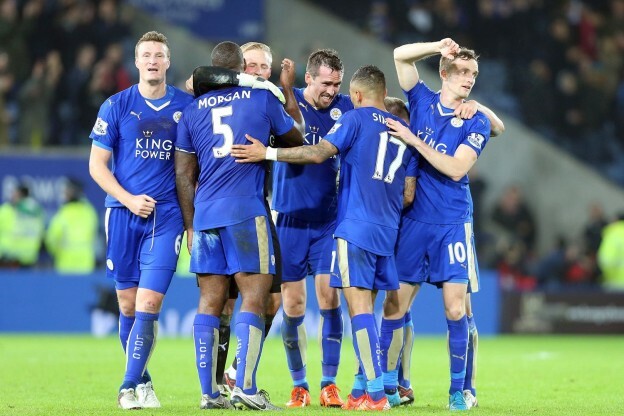 The team played fair and the main men, Vardy, Mahrez and Ranieri need stats change in the video game simulation. What can we expect from EA Sports? Back in 2013/14 season Atletico Madrid won the La Liga title beating the top Real and Barca. In FIFA 14, the players had a substantial increase in their stats. Their main man, Costa, had a +6 stats increase in the game. Their 4 star was turned into a 5 star team. We can expect such stats boost from the EA for Leicester City in FIFA 17. The signs are good for Leicester to get a substantial upgrade for FIFA 17. We’ll know soon enough, but expect updates to take them down a peg or two if Ranieri is correct and they are just a temporary flash in the pan. 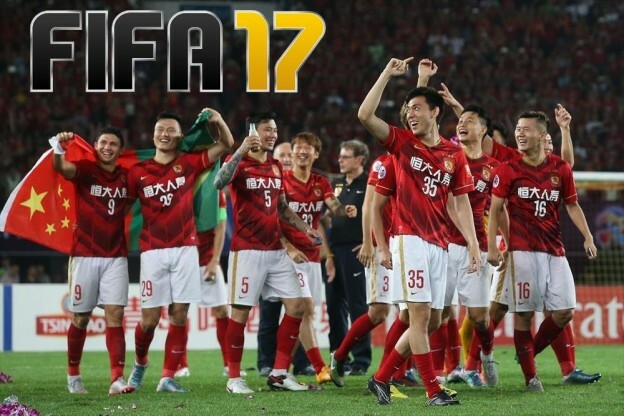 Chinese Super League may Added in FIFA 17? Just as our prvious article , FIFA fans are longing for the leagues which included in FIFA 17. We can see that there will be tons of demands from game players from Asia since many professional footballers have moved to those region. Pro players like ex-Chelsea player Ramires, ex-Londoners Paulinho and Gervinho among many others have settled in China for professional football. 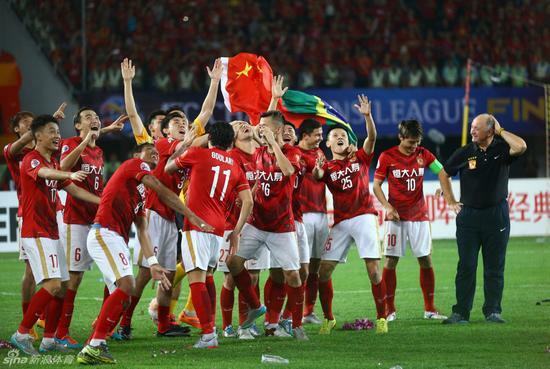 Football development and market is growing significantly in China. There has been growing demands for top European players and Chinese Super League clubs are willing to shell out the money. EA may join Chinese league into the world’s most popular football game FIFA series. It is reported that EA has received the licenses from Chinese Super League sides Shandong Luneng, Guizhou Renhe, Beijing Guoan and Chinese and Asian champions Guangzhou Evergrande. 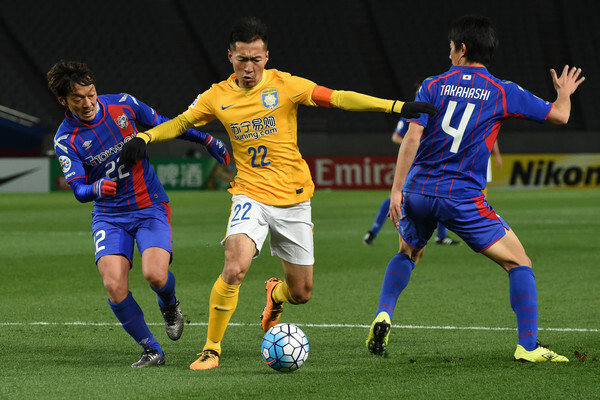 With the growing demands from current FIFA 16 players, EA could consider adding the Chinese Super League to FIFA 17 Ultimate Team. Or if not adding the entire league, at least make the most popular players available in the usual “Rest of the World” section on FUT 17. We say this, as the Chinese Super League is now starting to become a superpower of football and this has just been justified with the confirmation of Alex Teixeira’s transfer to Jiangsu Suning. This is an excellent player who is on Ultimate Team at the moment for Shakhtar Donetsk with an 82 rating. The problem is that as the way things stand, Teixeira won’t be available on FIFA 17 Ultimate Team unless EA make this change. While fans will likely be excited at the thought of playing as Chinese sides, EA Sports face a challenge in the form of competitor Konami. Do you think that the Chinese super league will be added in upcoming FIFA 17? San Marino’s national football team has grown accustomed to goal droughts, heavy defeats and losing streaks over the years, but their fans still believe they should have representation on FIFA 17. A group of FIFA fans are petitioning to have the world’s most unsuccessful football team included in this year’s game. The fans want San Marino, a team which has only one international win to its name, included within the game. In this respect they have even set up a petition and a twitter hashtag #SanMarinoEnElFIFA17. The microstate has never had a playable team on any of EA Sports’ previous FIFA titles, and with only one solitary win in the last 26 years, it certainly looks unlikely to happen any time soon. While many football fans might brush off their argument for being included in next year’s FIFA 17 game, there is no doubt that some gamers would fancy the challenge of controlling the San Marino team and challenging people online. EA has traditionally positioned FIFA as a club-focussed game, with last year’s edition featuring 48 men’s and 12 women’s international sides. However, we already know that list is expanding to include the Norway ladies’squad. So maybe although it is a big maybe, admittedly – there is a smidgen of hope for a team that scored its first away goal in 14 years against Lithuania last September. So, if you would like to Make San Marino Great Again, for lack of a better expression, sign the petition to get them on the game! 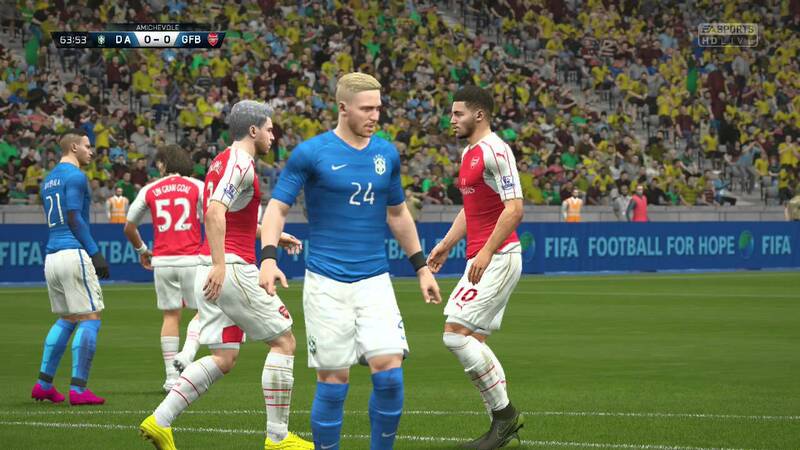 EA Sports has always been adding new leagues to the new version of the FIFA every year. Not satisfied with FIFA 16 Leagues and teams? Below is the latest result of FIFA 17 Leagues Survey by a website. 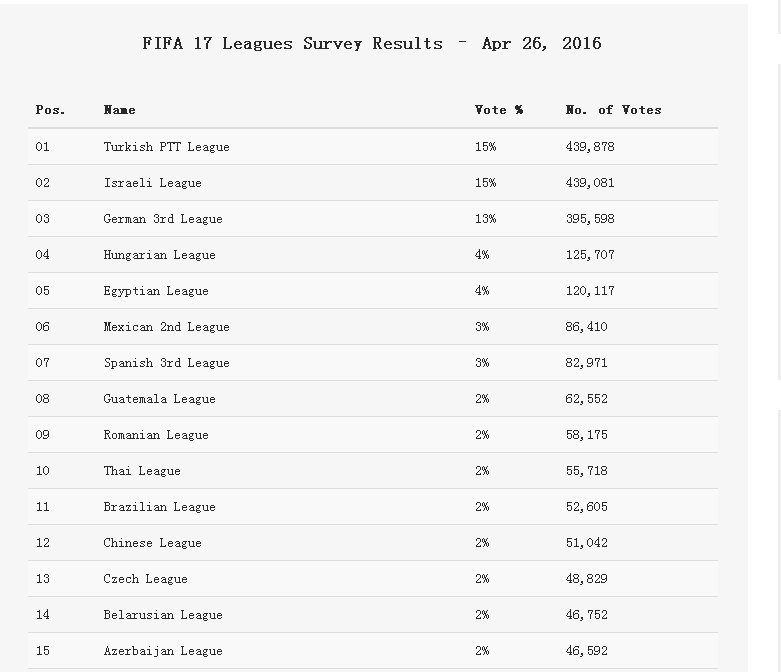 FIFA fans have submitted a total of 2,989,908 votes for 80 leagues from September 25, 2015 to April 26, 2016. Currently, the leagues of Turkish PTT, Israel and German 3rd League are the top 3. This survey is NOT an official poll from EA Sports. The results of these surveys will be sent to EA. EA Sports is currently putting the finishing touches to its team list for FIFA 17. Who’ll be added to the 650-strong sides included last year? The most obvious of the lot. Fresh off promotion from the Scottish Championship, it’s 99% certain that the blue half of Glasgow will make its return in FIFA 17, after being dropped from FIFA 16 over a licensing disagreement. It’s more good news after that Old Firm derby penalty shoot-out victory last weekend. With Brazilians Ramires (pictured) and Alex Teixeira joining Jiangsu in mega-money January deals, Ultimate Team players have been especially vocal about adding the Chinese Super League next season in order to retain their favourites year-on-year. Should the full league be included it’d also mean FUT reprieves for Gervinho, Paulinho and Demba Ba. FIFA is a club game, but to our eyes all qualifiers to major national tournaments should be represented too. In Euro 2016’s case, that would mean five new international sides who didn’t feature last time around, including those of Luka Modric, Gylfi Sigurdsson (both pictured) and Martin Skrtel. At the other end of the international scale are Europe’s least successful footballing nation. San Marino have long been requested by fans, to the point of a (not necessarily legal) patch devoted to them being made for FIFA 09. This year there’s even an online campaign to get them in the game, via the social media hashtag #SanMarinoEnFIFA17 and change.org petition. Relegation from League Two means the harshest fate possible in FIFA world: complete removal from the game. After missing out on FIFA 16 as a result, Cheltenham’s storming Conference season ensures a return in FIFA 17. There’ll by no such joy for Rovers – unless EA adds the National League license, which would also see virtual comebacks for Torquay United, Grimsby and Lincoln too. The 22-time Israeli champions were added to this year’s PES as a free DLC team (pictured), but remain AWOL from EA’s series. That’s despite the Israeli top flight topping an independent fan vote for the most wanted new league, with more than 380,000 votes. There may be hope for Tal Ben Haim’s FIFA career yet. We’re already know the list of 12 women’s teams include Norway. Japan must surely be an imminent add too, having won the World Cup in 2011 and finished as runners-up to the USA last year, while 2015 surprise package Cameroon would be the first African women’s team to feature. If more female international sides are on the way, then why not domestic ones, too? EA has already done half the job by securing likenesses for the likes of Steph Houghton (City), Casey Stoney (Arsenal), and Chelsea pair Eni Aluko and Karen Carney (both pictured). 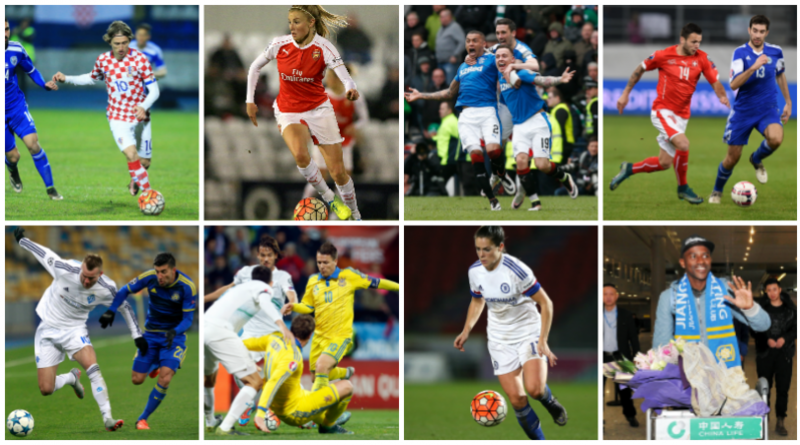 The full WSL seems inevitable eventually, even if it isn’t fully implemented this year. Each year we tend to get a ​FIFA ​launch around September. Whether or not EA intended it to be public knowledge, one thing we know for certain about FIFA 17 is that it’ll come with an increased roster of women’s teams. Last year saw FIFA tentatively dip its toe into the increasingly popular women’s game, with a mini tournament featuring national squads – England taking on the likes of the USA, Germany, France, Japan and a few others. It would appear this year, the roster is set to get something of a boost. Norwegian striker Ada Hegerberg posted a photo on Instagram having her picture taken by the bods at EA, presumably for inclusion in FIFA 17. 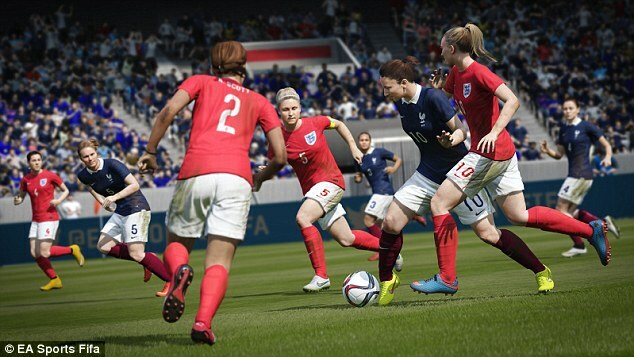 FIFA 16 saw the introduction of women’s teams into the World renowned series and included 12 international teams for the first time in the game’s history. These teams were. All 12 international received the same treatment as their male counterparts through having the players heads scanned into the game. 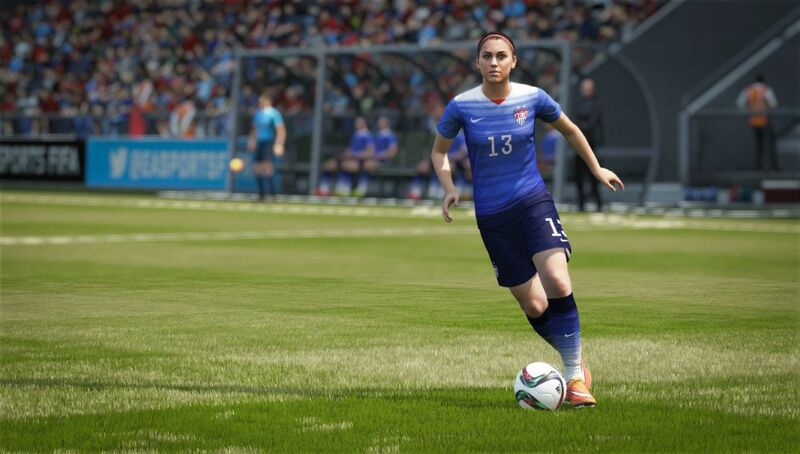 Rumours suggest the original 12 women’s teams is set to jump to 16 or more in FIFA 17. Given Norway currently sit at #11 in the most recent rankings, it’s no great leap to imagine that the Scandinavian giants – former world champions no less – are likely to be part of that expanded set-up. But what about league football? 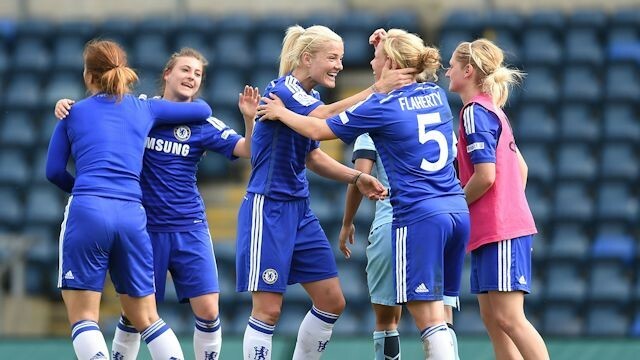 In tandem with the impressive performances from the England Lionesses, so the popularity of the Women’s Super League has also blossomed, with current champions Chelsea being run very close by fresh force Manchester City right until the final day of the season. In our view, now would be the perfect time to add league football to FIFA’s roster, though we expect we may have to wait until FIFA 18 or possibly even FIFA 19 before it joins the party. The addition of extra teams should see a career mode for the women’s sides to add an extra element to the game.